French archaeologists claim that prehistoric artwork thought to be 36,000 years old is actually 10,000 years younger. Chauvet Cave is located near the village of Vallon-Pont-d’Arc, Ardèche in southern France. The cave was discovered in 1994 by a team of cavers led by Jean-Marie Chauvet, for whom the site was named. It was the most important cave painting find since the discovery of Lascaux by a group of teenagers during World War II. Unlike the 18,000-year-old Lascaux cave paintings, which became a major tourist attraction after the war and deteriorated badly as a result, Chauvet was rapidly taken over by the French government and a strict conservation program was put in hand. The artwork comprises 425 panels, depicting rhinoceroses, lions, bears, mammoths, horses, bison, ibex, reindeer, red deer, aurochs, muskoxen, panthers, and the earliest-known representation of an owl turning its head through 180 degrees. Hand prints, red dots and a partial image of a woman associated with a bison have also been discovered. Radiocarbon dates indicating that the paintings are around 36,000 years old are widely accepted. This would date them to the late Aurignacian period, and make them twice as old as Lascaux. Put another way, the radiocarbon dates suggest that Lascaux is separated from Chauvet by the same interval of time that separates it from the first landing on the Moon. However, archaeologists Jean Combier and Guy Jouve have cast doubt on the great antiquity of the Chauvet paintings. They argue that on stylistic grounds, the Chauvet artwork cannot be associated with the Aurignacian period. Instead, they claim, the artwork shows affinities to that of the more recent Gravettian and Solutrean periods. Therefore the oldest paintings at Chauvet cannot be more than 26,000 years old. The later ones might even be contemporary with Lascaux. 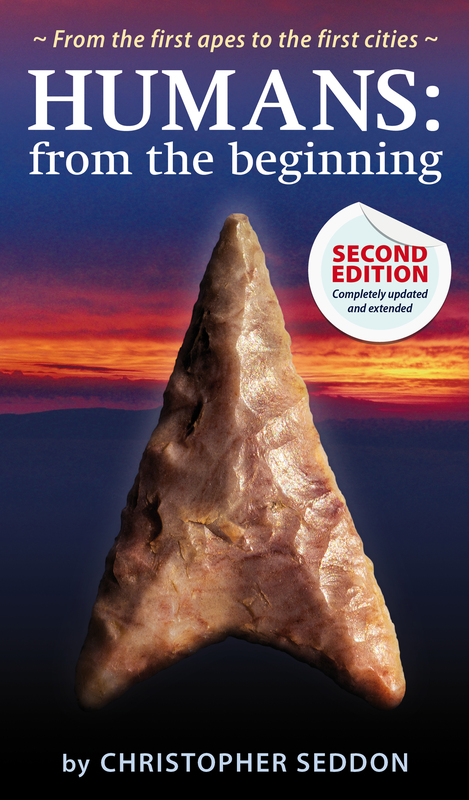 That Chauvet dates to the Solutrean period was the initial impression of Jean Clottes, one of France’s most eminent prehistorians. Clottes made his assessment in 1995, before any radiocarbon dates were available. His dating of the artwork on purely stylistic grounds was subsequently dismissed as ‘foolhardy’ – but could it be that relying purely on radiocarbon dates is equally unwise? When first introduced in the 1950s, radiocarbon dating revolutionised archaeology and Willard Libby, the American chemist who pioneered the technique, was awarded the Nobel Prize in Chemistry in 1960. However, radiocarbon dating is not infallible. For example, it is very easy for a sample to become contaminated with more recent organic material that will slew results. In the case of Chauvet, radiocarbon dates were obtained from wood charcoal used as black pigment. However, Combier and Jouve suggest fossil carbon was used as well as charcoal. This was available at Vagnas, a village not far from Vallon-Pont-d’Arc, where there was a quarry yielding lignite and bitumen. A pigment comprising a mixture of fresh charcoal and fossil carbon would present as being significantly older than one containing fresh charcoal alone. Combier and Jouve note that such a mixture would also have a different isotopic signature to that of pure wood charcoal, i.e. the proportions of the stable carbon isotopes carbon-12 and carbon-13 would differ between the two. It would thus be possible to show whether or not the Chauvet dates were suspect. Such an anomaly has been detected at another cave site, Candamo Cave in Spain, although in this case the ‘old’ carbon leeched into the pigment from the limestone walls of the cave through the action of bacteria. Accordingly, Combier and Jouve suggest that fresh radiocarbon dates should be obtained for Chauvet, and they believe that it extremely important that more than one laboratory carries out the work. 1. Clottes, J., Cave Art (Phaidon, New York, 2008). 2. Combier, J. & Jouve, G., Chauvet cave’s art is not Aurignacian: a new examination of the archaeological evidence and dating procedures. Quartär 59, 131-152 (2012). 3. Combier, J. & Jouve, G., Nouvelles recherches sur l’identité culturelle et stylistique de la grotte Chauvet et sur sa datation par la méthode du 14C. L’Anthropologie ( (in press) doi:10.1016/j.anthro.2013.12.001) (2014). 4. Mellars, P., A new radiocarbon revolution and the dispersal of modern humans in Eurasia. Nature 493, 931-935 (2006).